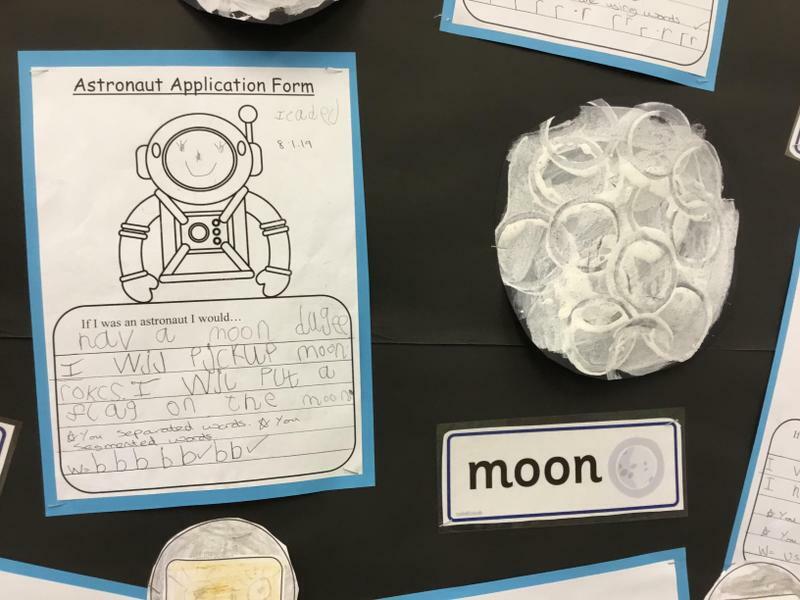 We weighed moon rocks. 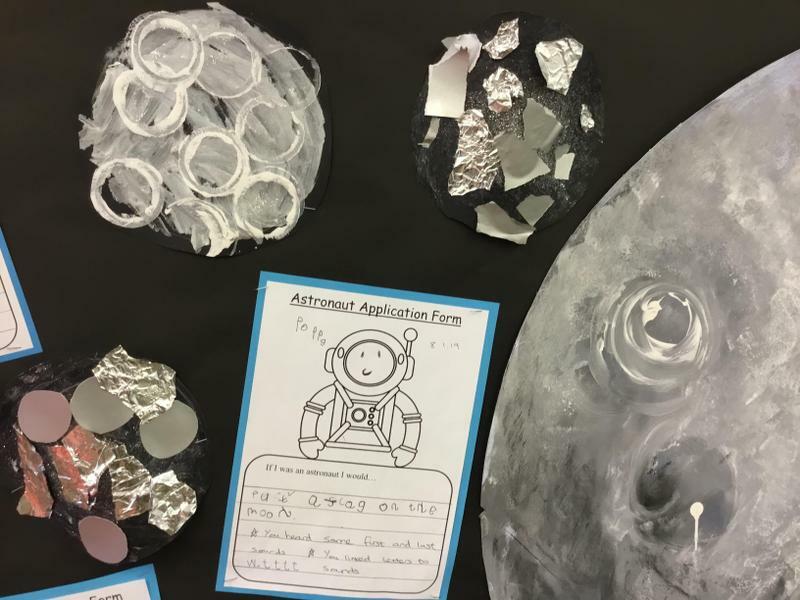 We could find the lightest and the heaviest using scales. 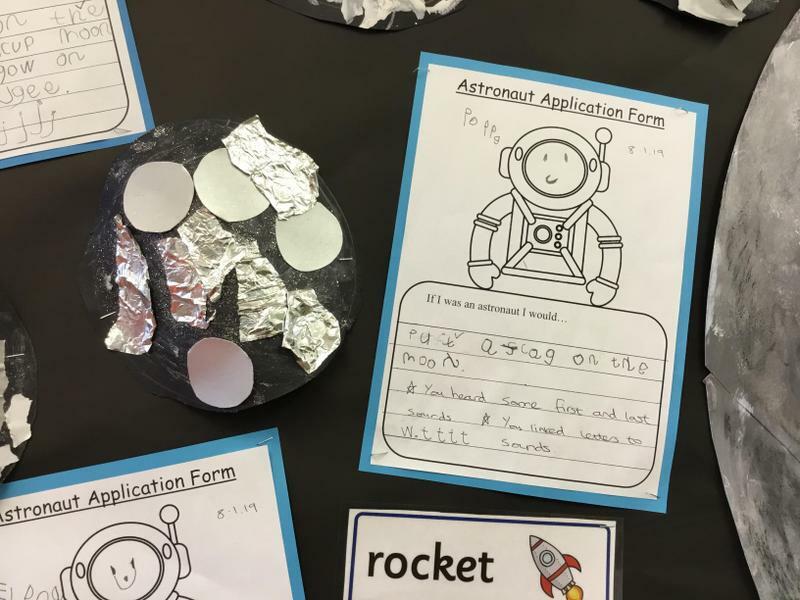 We practised our curly caterpillar letters in the moon dust outside. 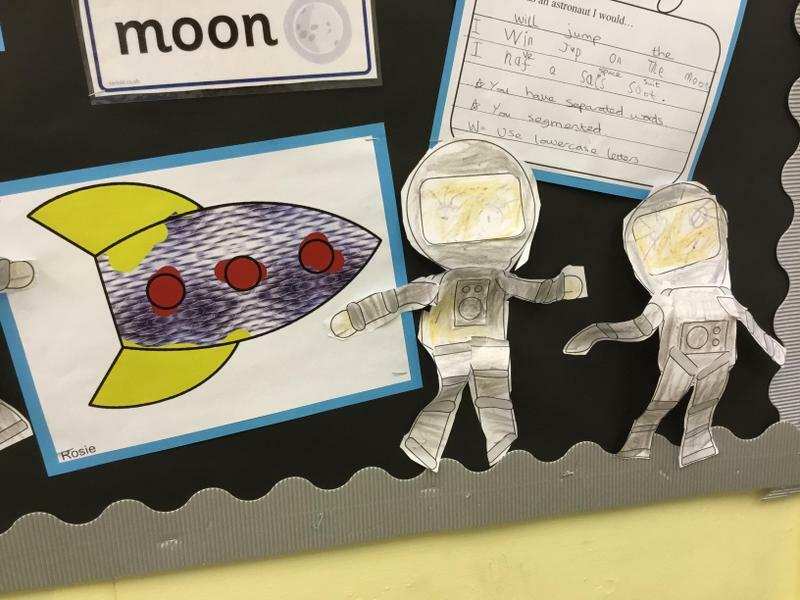 We told stories of moon landings using puppets. 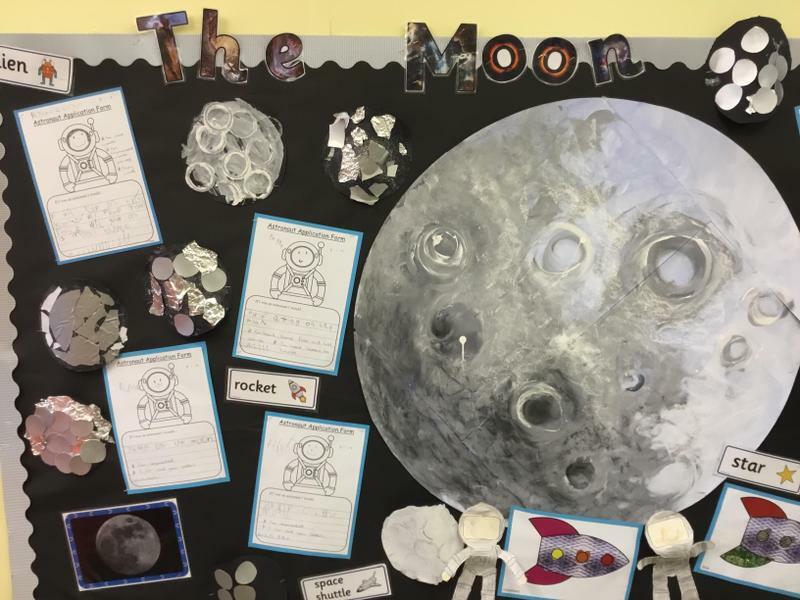 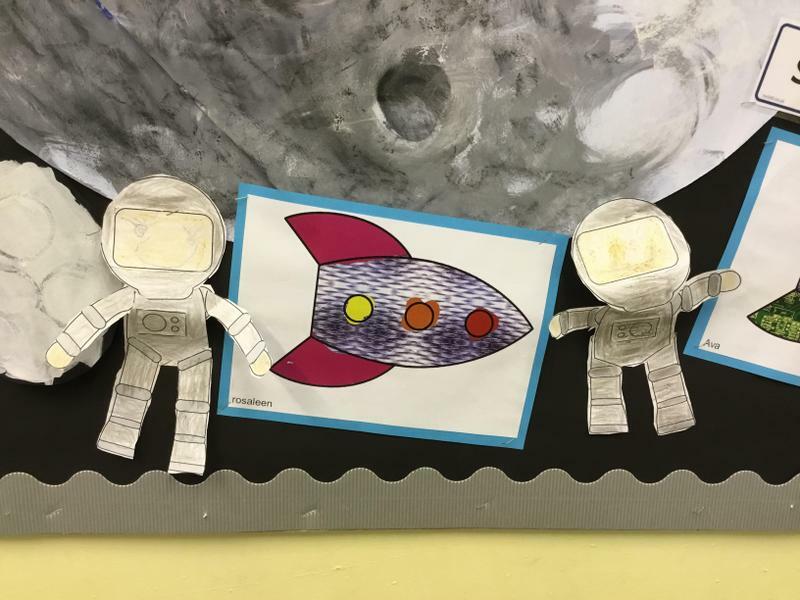 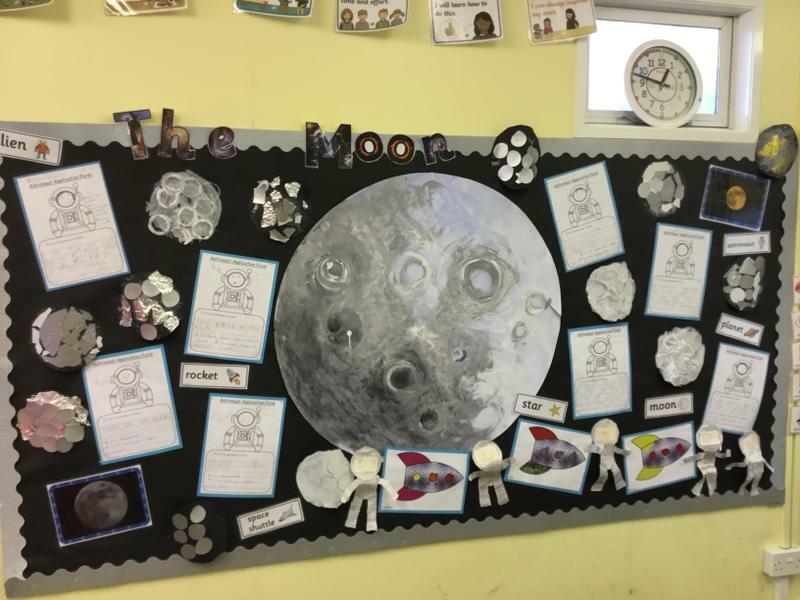 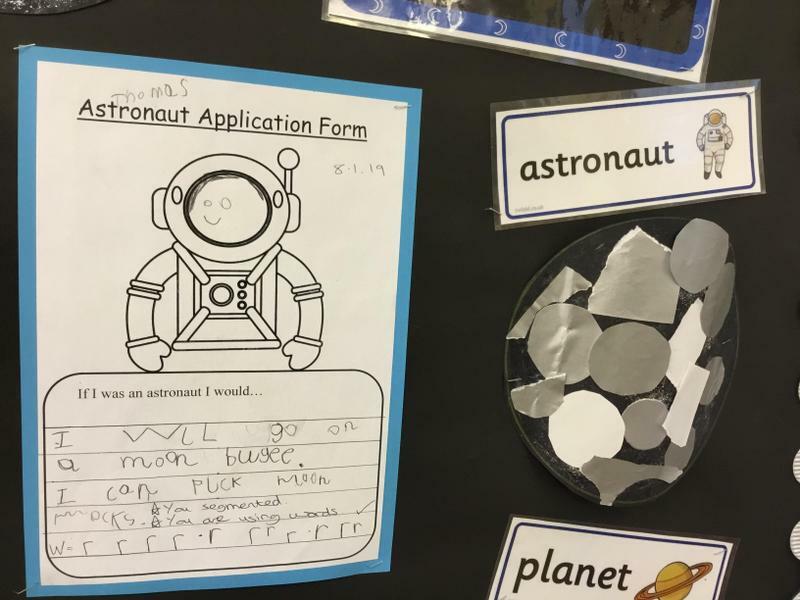 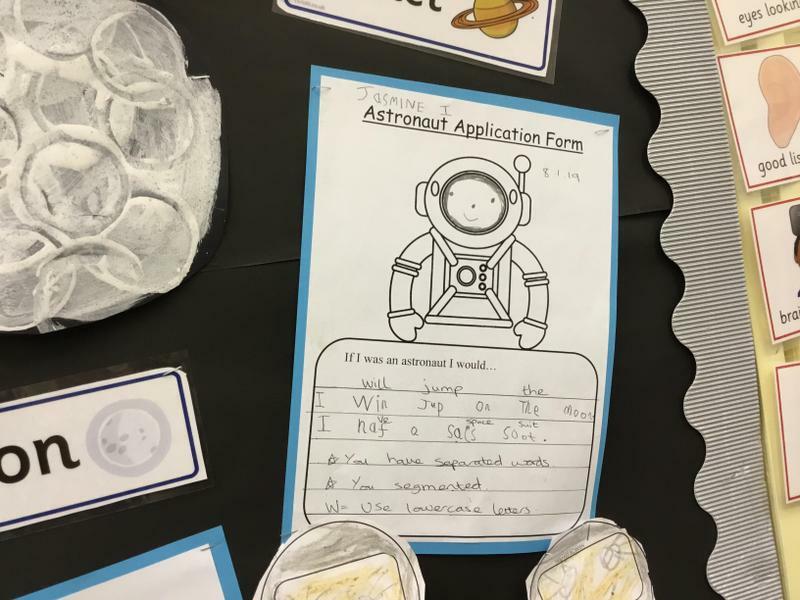 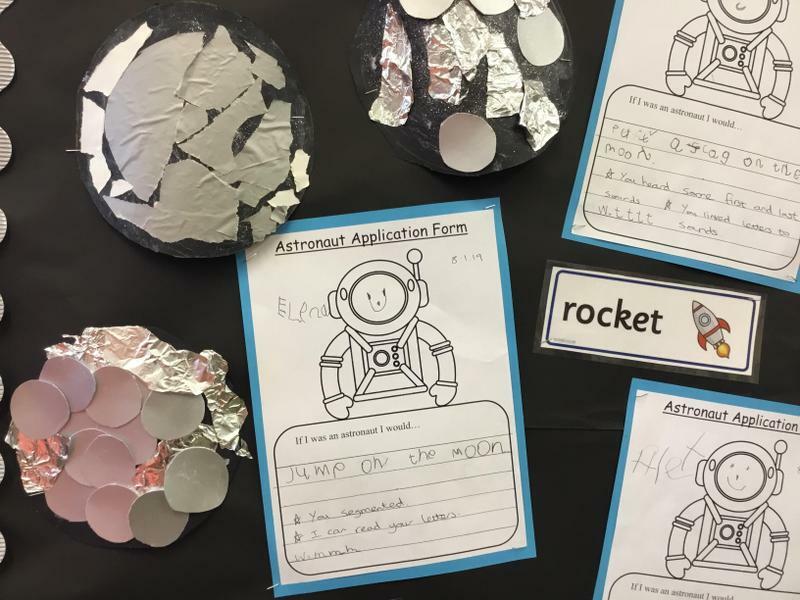 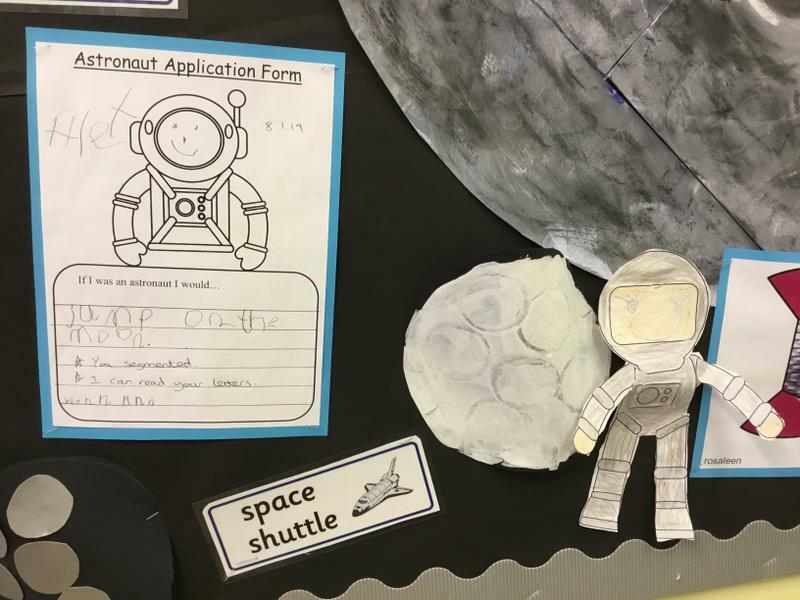 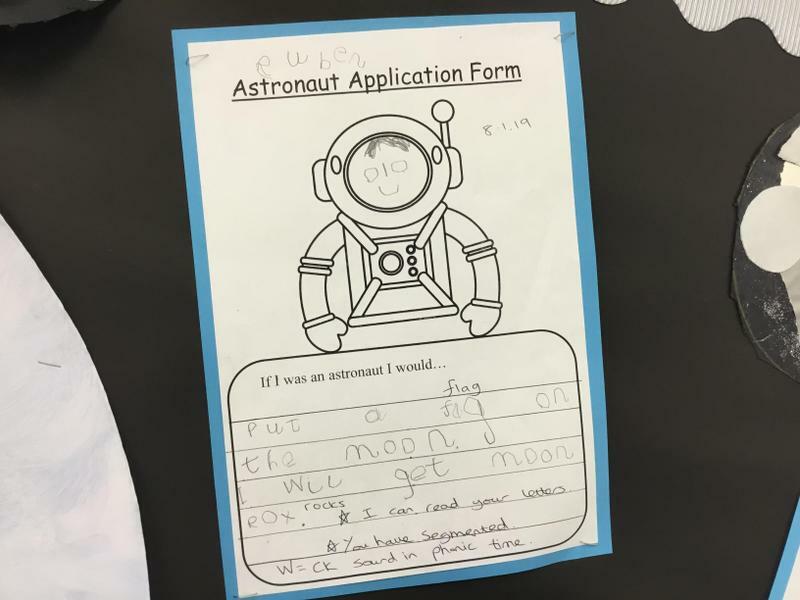 We used vocabulary we had learnt like moon buggy, Earth and astronaut. 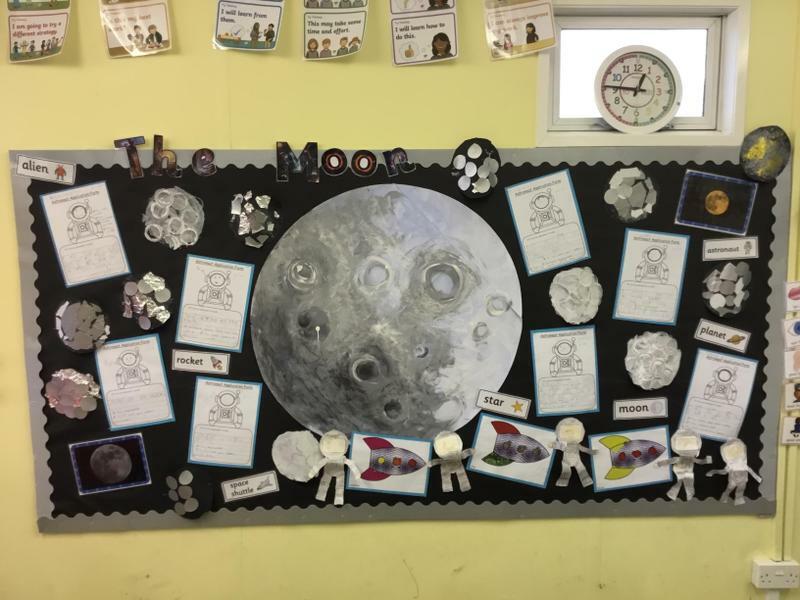 We thought about the differences and similarities between night and day. 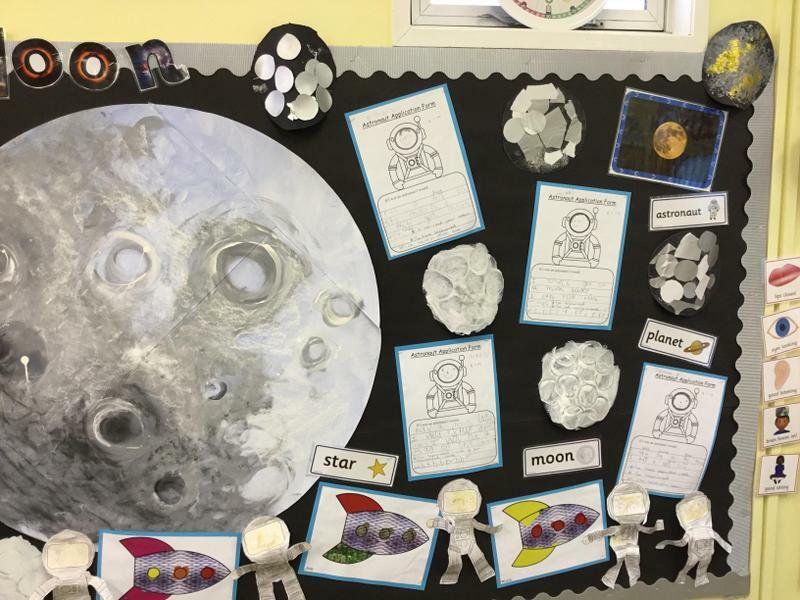 We know we see the moon and stars at night time. 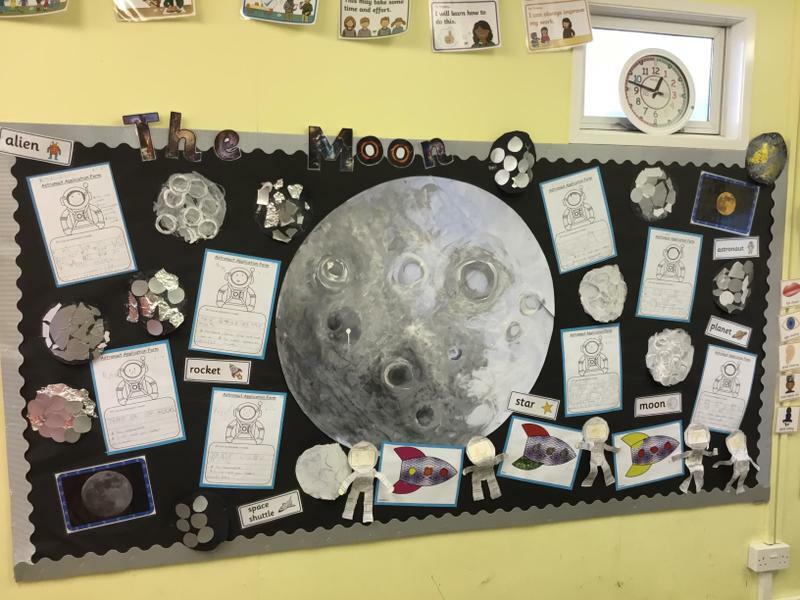 We made moons with different textures. 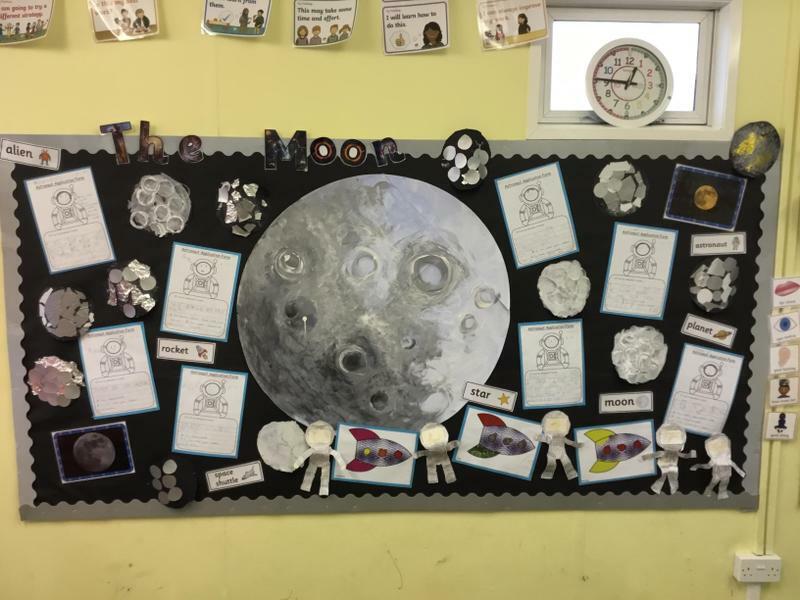 We constructed moon buggys. 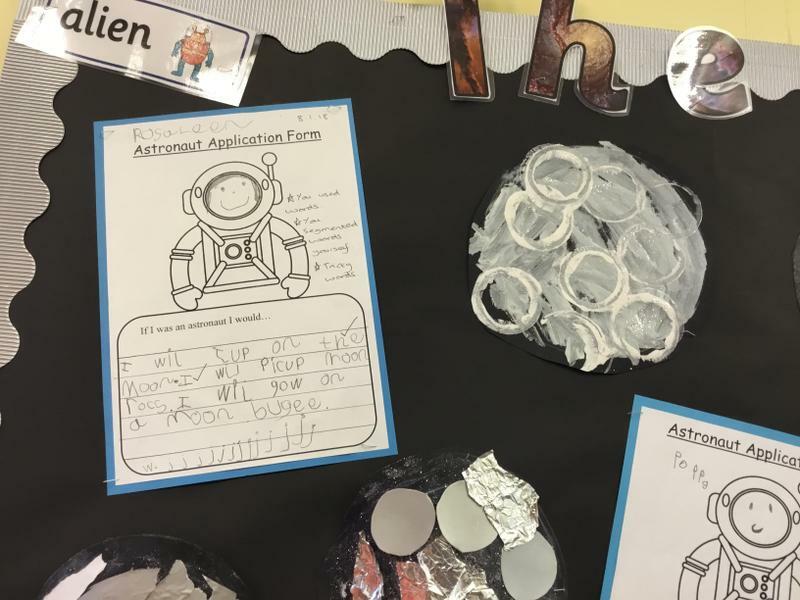 We made play dough stars with tools. 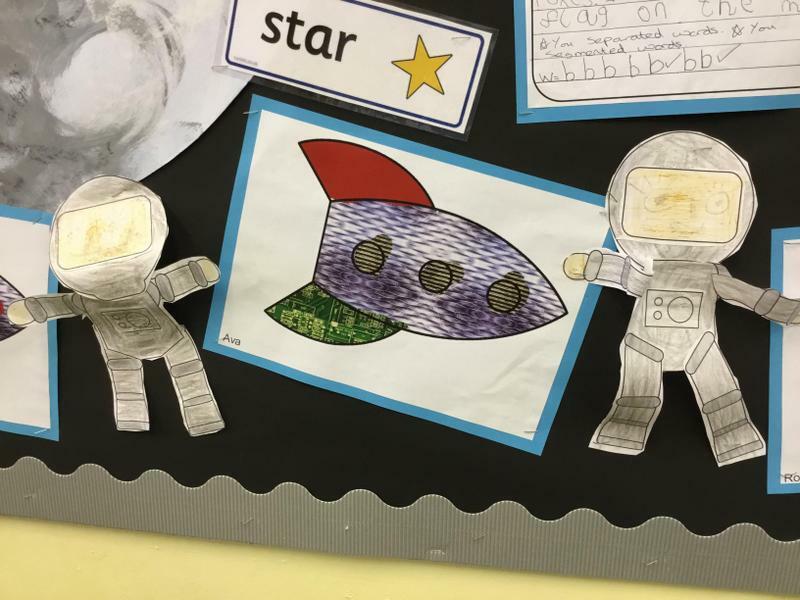 We counted stars and found numbers to show the amount.